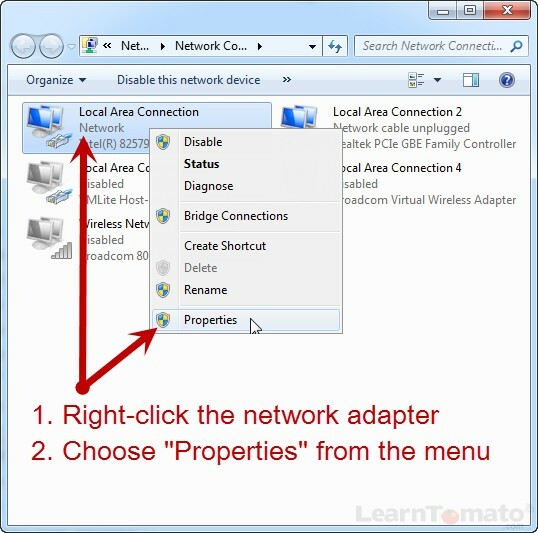 LearnTomato » Computer Networking Basics » What is DHCP? And How Do I Change My IP Address? Are you a control freak? I think we all are in some form or fashion. Being a control freak isn’t generally a favored attribute people are attracted to. However, in the computer world, having control is not only attractive, it’s necessary. And having control begins with managing IP addresses. 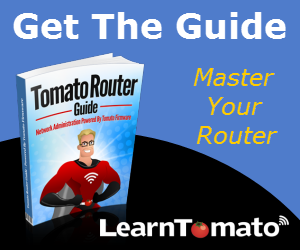 When you connect to a local network, you need an IP address, whether you set it manually yourself, or let the router issue one to you. Most routers use a technology called Dynamic Host Control Protocol (DHCP). Don’t let the long name scare you off! It’s hard to say, but it’s harmless –I promise. DHCP is a feature that issues IP addresses dynamically to computers within your network. What is an IP address pool? By defining an IP address pool, you are essentially creating a pool of IP addresses available for the router to choose from. Using the IP address pool above, the router will “dynamically” issue IP addresses between x.x.x.100 and x.x.x.199. This way, you can reserve your static IP addresses somewhere at x.x.x.99 or below. The beauty here is the flexibility and control you have over your network. NOTE: By default, the IP address pool is between 1 and 254. Why? Because x.x.x.255 is a broadcast address. The broadcast address always ends in 255. Also notice that all of the IP addresses begin with 192.168.1.x. This is because you need an address pool for each subnet. So if you ever decide to separate your business computers from your work computers, you can create a new subnet and new IP address pool for that subnet. What is a broadcast IP address? A broadcast address is an address that allows information to be sent to all devices in a network, rather than a specific machine. Therefore, the broadcast address for 192.168.1.0 is 192.168.1.255. Since private IP addresses are associated with your Network Interface Controller (NIC), you must locate your network adapter to change the IP address. 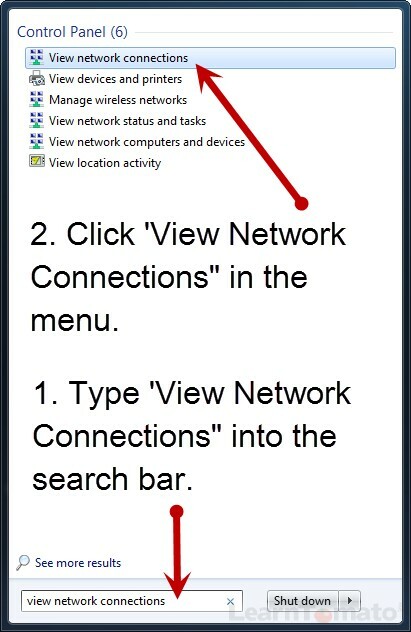 There are several ways to get to there in Windows 7, but using the search function is by far the fastest way. Select ‘Use the following DNS server address.’ (again, use your routers IP address). Note: Once you click ‘OK,’ your computer will disconnect from the Internet momentarily while it resets the network adapter and configures the new IP address. 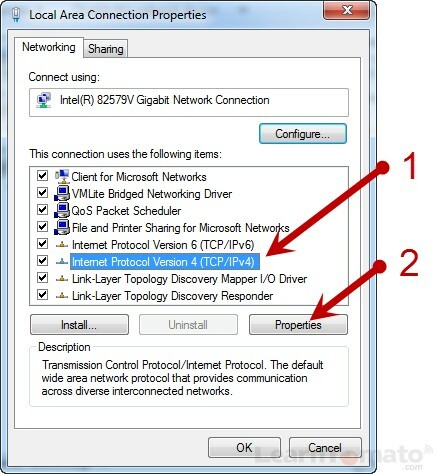 If you experience difficulty reconnecting to the Internet after changing your IP address. First, double check your settings. If they are correct, you may need to reboot your router and your computer. Unplug your routers power cable and wait at least 1 minute. Plug the power cable back into the router and wait 2-3 minutes for the router to reboot. Why can’t I visit websites after changing my IP address? 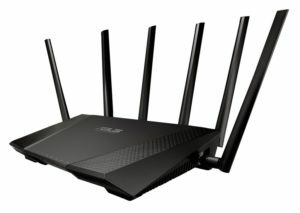 Have you rebooted your router and your computer? 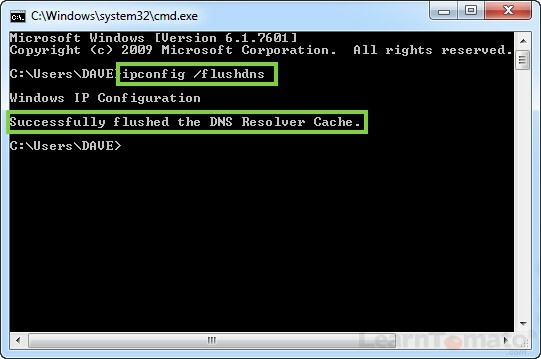 If so, you may need to flush your DNS resolver cache. 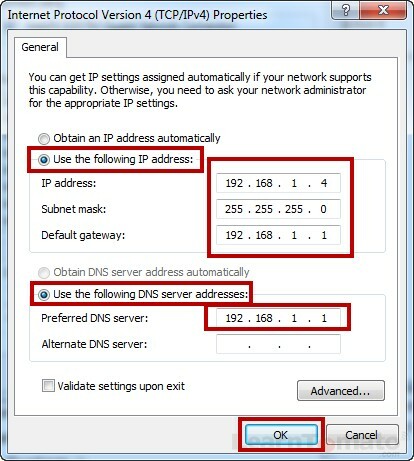 Remember when we changed the IP address, we also set the DNS server to use the IP address of the router. As a result, your computer could still be looking for the old settings. 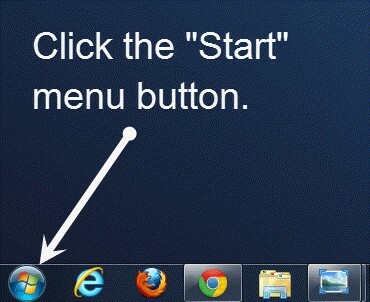 In windows 7, click the “Start” button. Type ‘cmd’ into the search bar. In windows 7, click the ‘Start’ button. Verify that this is the same number you set manually when configuring your IP address. 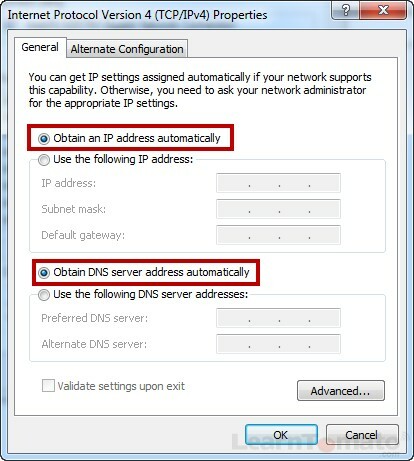 How do I obtain an IP address automatically? Most users will not require static IP addresses for mobile devices and laptops. 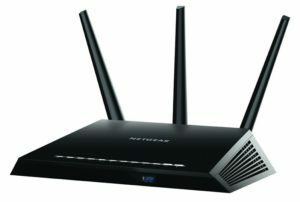 For these devices, each time they reconnect to the Internet, the router searches the DHCP address pool and issues them a new IP address. By default, most computers are set to receive IP addresses automatically so you probably don’t need to do anything. 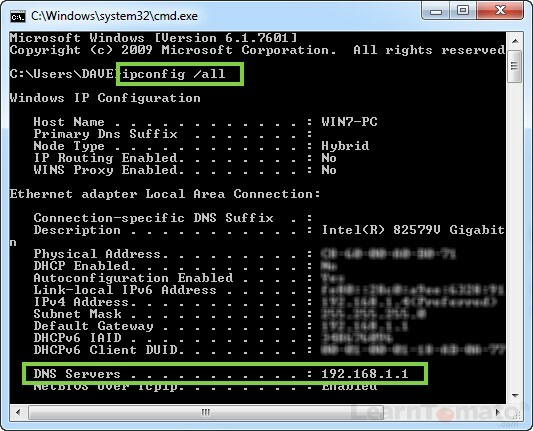 Basically, just navigate to the Local Area Connection Properties window and ensure that the option for “Obtain IP address automatically” is checked, then click ‘OK’. In the next section, we’ll discuss the relationship of IP addresses to the hardware MAC Address on your computer. After all, numbers of any type don’t just attach themselves to thin air, right? Obviously, they must be associated with a piece of hardware inside of the computer, but which one? That my friend, is known as the network interface controller, often referred to as a ‘NIC’. Your computer may have a wired NIC, or a wireless NIC, or both.